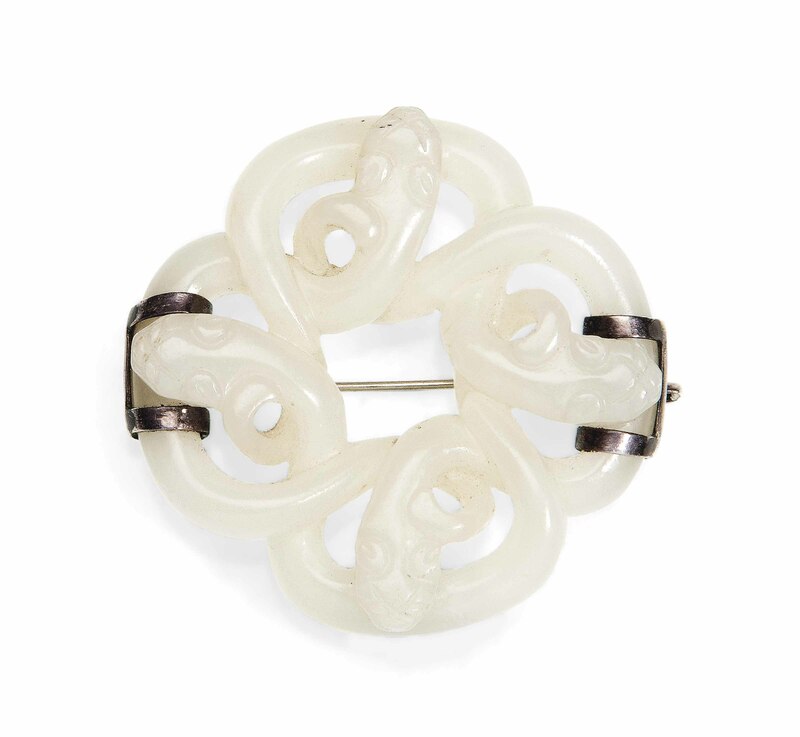 It is well carved and pierced with four chilong in an openwork quatrefoil. The stone is of even white tone. It has been mounted as a brooch. For a similar example, see Chinese Jades from the Collection of the Seattle Art Museum, 1988, p. 69. no. 45.